Natalie and Will got married at Manor by the Lake in Cheltenham, a fantastic wedding venue that I really enjoy working at. Hidden away in the depths of the Manor House, is the Rock Bar, a stunning bar and lounge area that enables the groom and his ushers to relax in before the wedding ceremony. The lounge is also big enough to allow for the whole groomsmen team to get dressed together. To the one side of the lounge (to the left of the frame) is a large window which provides a lot of directional lighting, which in itself helps create dramatic photos, especially in black and white. Above is a skylight that adds a little fill light, and combined you get this really awesome light quality. 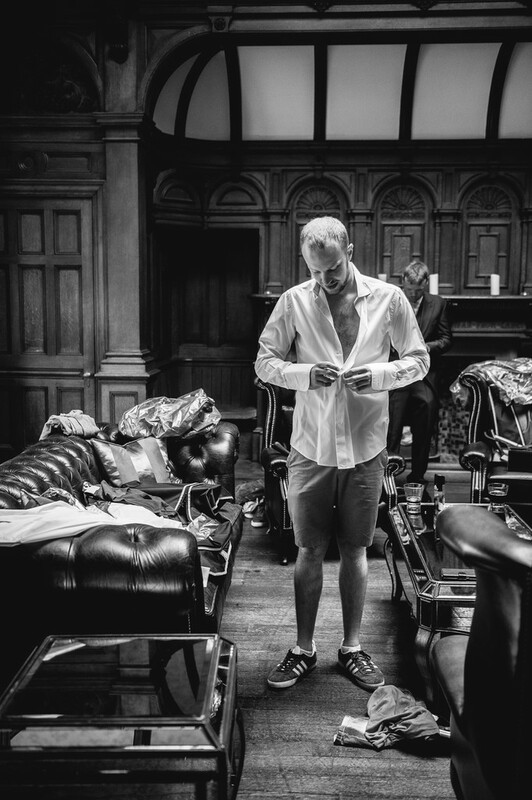 You can see in this image of Will getting ready, with his best man in the background, that the light in the room has an almost unnatural look - it almost appears like Will has been lit with studio lights, when in fact all of the light is natural. 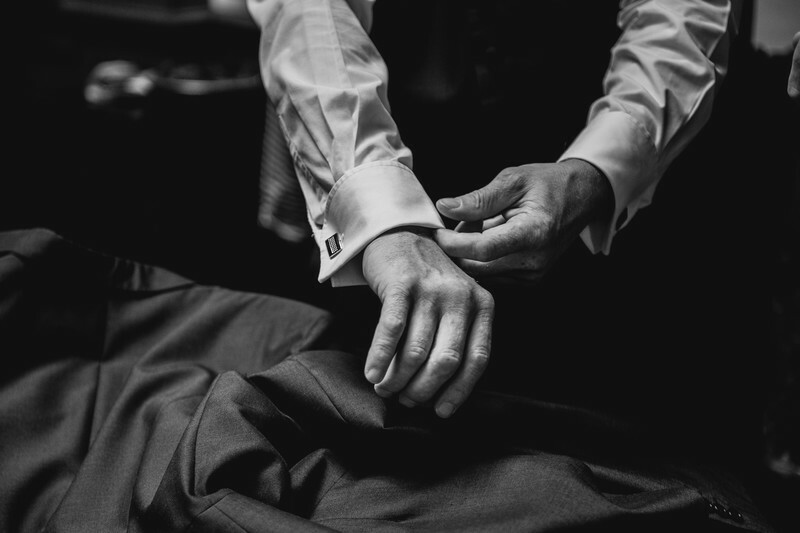 I love photos like this where the groom is half in his wedding suit and half in his 'civvies' - Nothing quite shows the transition from everyday man to groom like a photo like this! Location: Manor By The Lake Cheltenham.